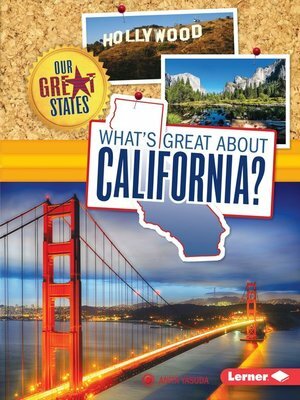 What's so great about California? Find out the top ten sites to see or things to do in the Golden State! Explore California's beaches, mountains, film studios, and colorful history. The California by Map feature shows where you'll find all the places covered in the book. A special section provides quick state facts such as the state motto, capital, population, animals, foods, and more. Take a fun-filled tour of all there is to discover in California. Anita Yasuda is the author of more than one hundred books for children. She lives with her family and her dog in Huntington Beach, California.